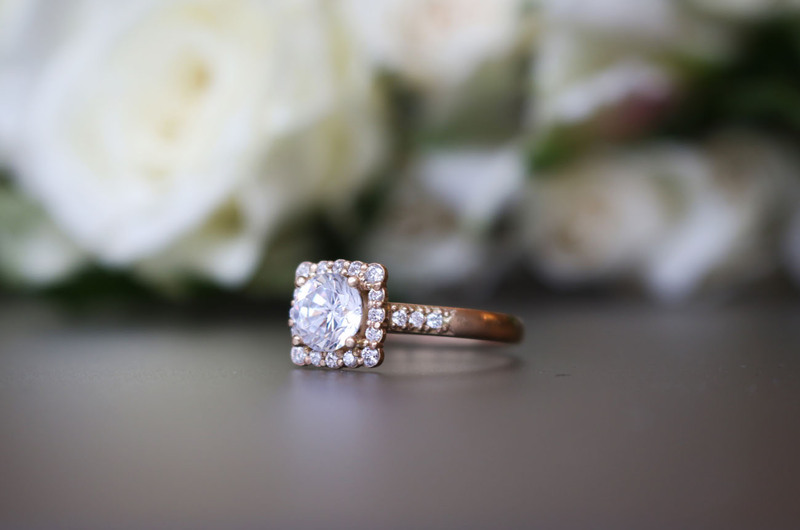 You deserve a ring that you’ll love forever. One that’s not only timeless, but one that you’ll be proud to wear. Right? Right! That’s where Laura Preshong steps in! 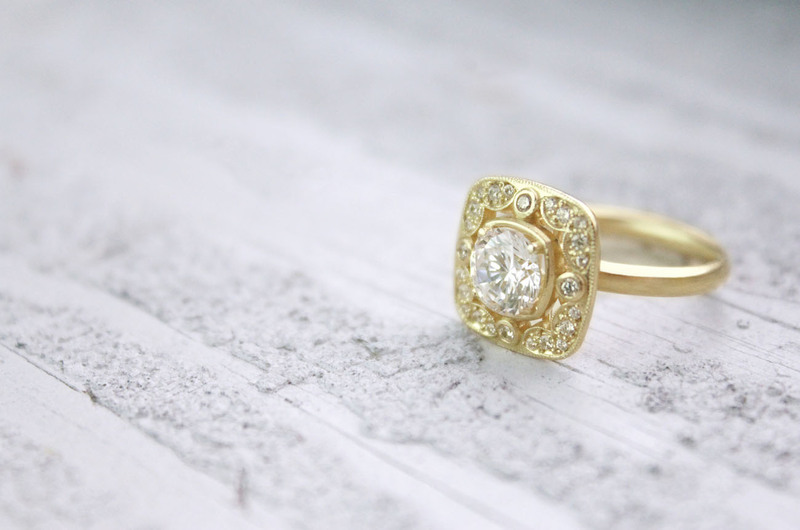 Offering a stunning array of vintage-inspired gems and modern updates on classic designs, Laura’s rings + pretty things were made to stand the test of time. 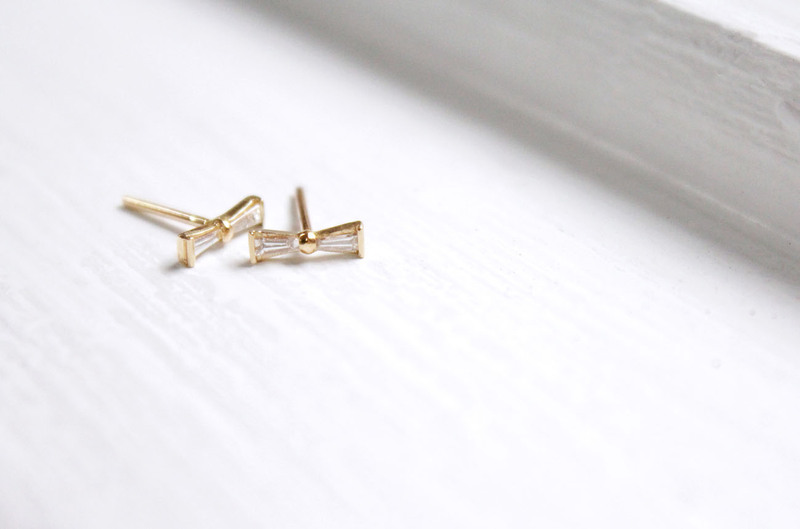 With a deep respect for the earth’s natural resources, each piece of jewelry is crafted by master artisans and designers with recycled metals and ethically-sourced stones. Laura attained her formal jewelry education at The Honolulu Academy of Arts and The Portland School of Art in Portland, Maine — studying studio jewelry fabrication, forging and metal raising, casting, wax model making and gemology. Along with being an experienced goldsmith and talented designer, Laura is passionate about ethical sourcing of materials for her jewelry. 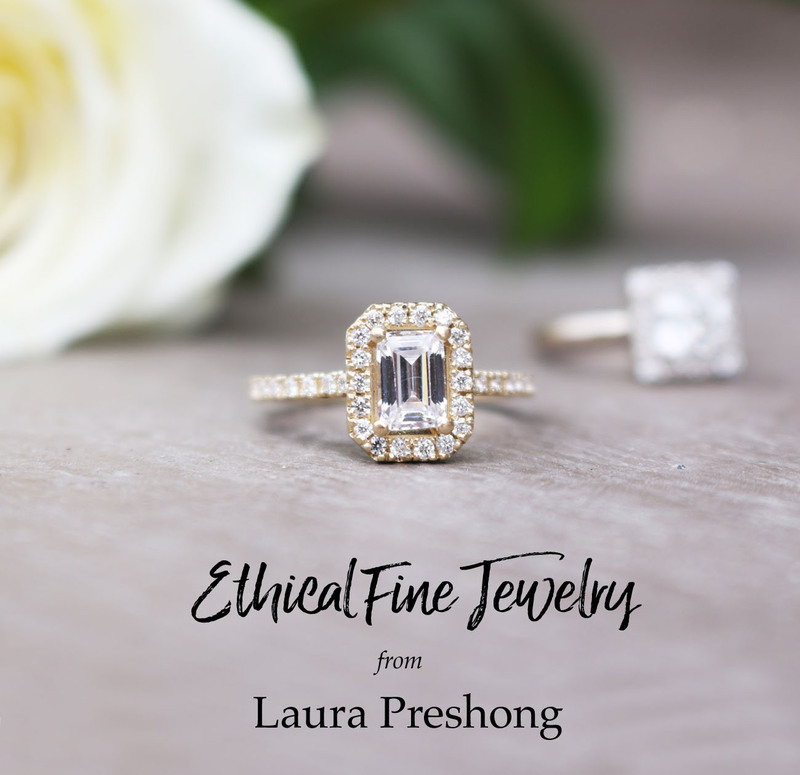 With a deep respect for natural resources and a moral responsibility to the social and environmental impact of the fine jewelry industry, Laura exclusively uses recycled fine metals and ethically-sourced precious and semi-precious stones for her line. We love that! Let’s take a look at a few of the gems, shall we? Ooh la LOVE! 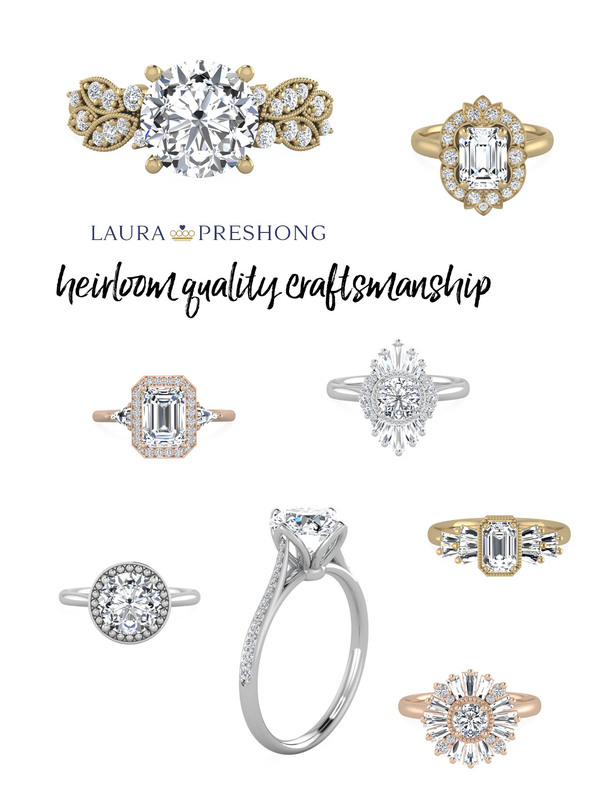 Best known for beautiful engagement rings and bridal jewelry, Laura Preshong‘s skilled design team combines engineering, science and old world craftsmanship to create timeless, heirloom-quality pieces. 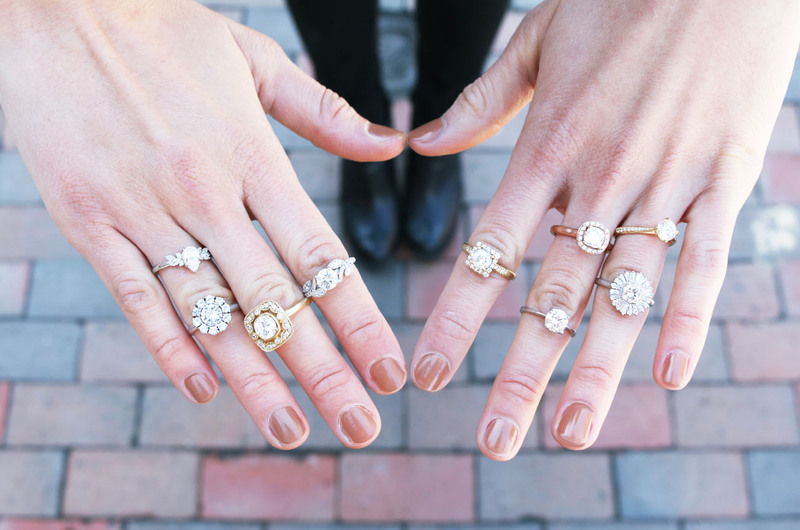 We’d gladly accept any one of these stunners as a hand-me-down, no questions asked! Laura Preshong tells us Ethics in sourcing is a number one priority. 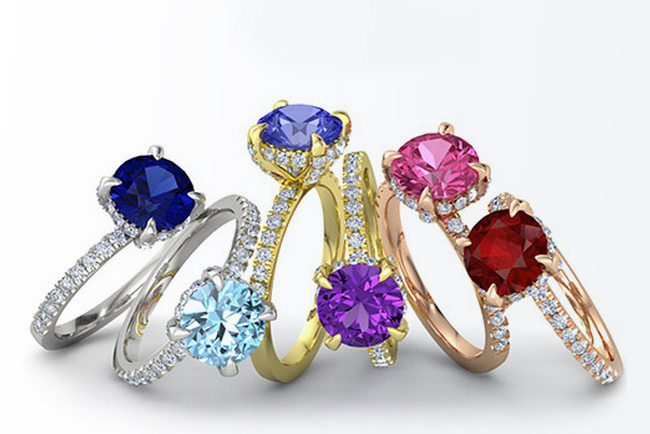 All of our diamonds coming from Canada or Botswana, all through one company (easier to track!). Seen on the left is the Jenny Baguette Halo Ring, on the right is the Chablis Diamond Cluster Ring. Such a simple + elegant touch! 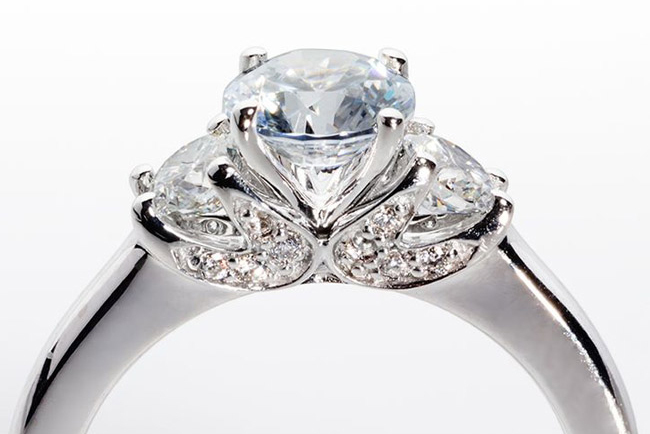 Our desire is to create artisanal, vintage style, heirloom quality jewelry with a modern wearability. We marry old world quality with modern technology, and are perfectionists in our craft. 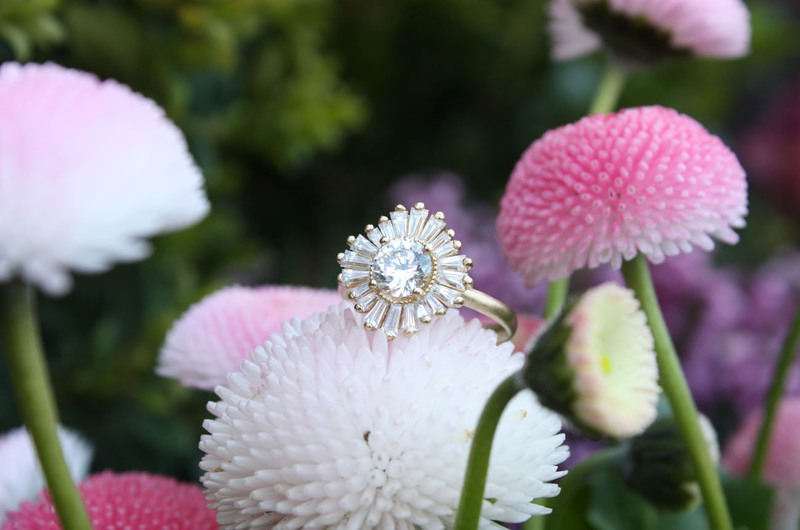 A stunning vintage inspiration reminiscent of the 1940’s Ballerina ring, with a combination of baguettes and round diamonds — this is the Natalia Diamond Baguette Halo Ring. *This post is sponsored by Laura Preshong. Thanks for supporting our sponsors!